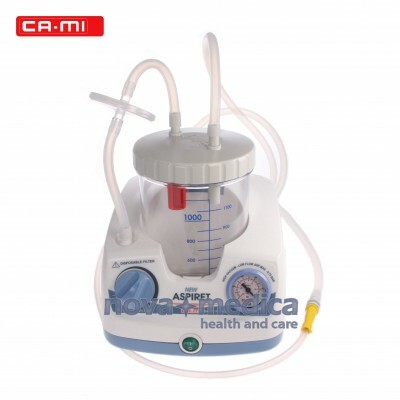 Suction Unit CA-MI Aspiret is a medical applications aspirator working on 230V ~ / 50 Hz mains power supply. Easily portable Suction Unit designed for continuous use. Thanks to this characteristics and to the rating that it has, Suction Unit CA-MI Aspiret is particularly suitable for hospital use, on the tracheotomized patients, minor surgical applications and post-operative therapy at home. Suction Unit CA-MI Aspiret is supplied with reusable FLOVAC® Collection Jar (1L) with 5 FLOVAC® Disposable Liners (1L). Suction Unit CA-MI Aspiret is equipped with aspiration regulator and vacuum indicator located on the front panel. 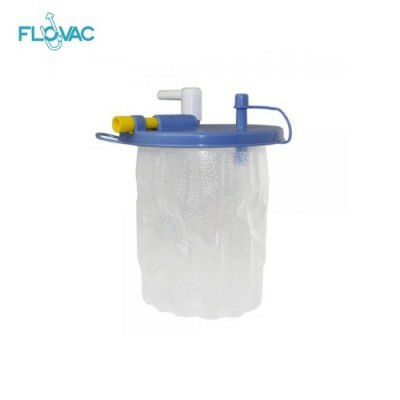 FLOVAC® Disposable Liners for suction unit made in polyethylene, feature a lid with valved vacuum inlet (ON/OFF), overflow valve, tandem port , port closing caps, and a disposable soft liner bag hermetically welded to a lid. 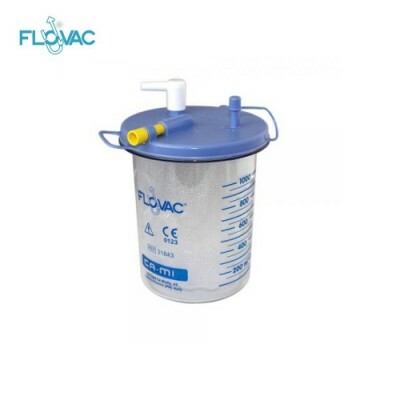 FLOVAC® Disposable Linersare also equipped with an anti-reflux, hydrophobic and antibacterial filter protecting the equipment and the suction unit.